This is my beautiful 8 month old gsd named Teilla who is a absolute delight to have around. 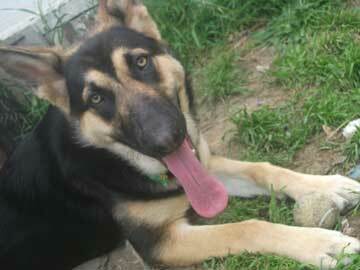 Teilla loves playing with her favourite old tennis ball & running around the park. She is a great companion, although she can be quite a handful but that’s what i love about her!! Total German Shepherd: Good luck with your German Shepherd puppy Teilla. What a great name - I really like it. And thanks for sending in the great picture too - she is beautiful. Good luck in the future.